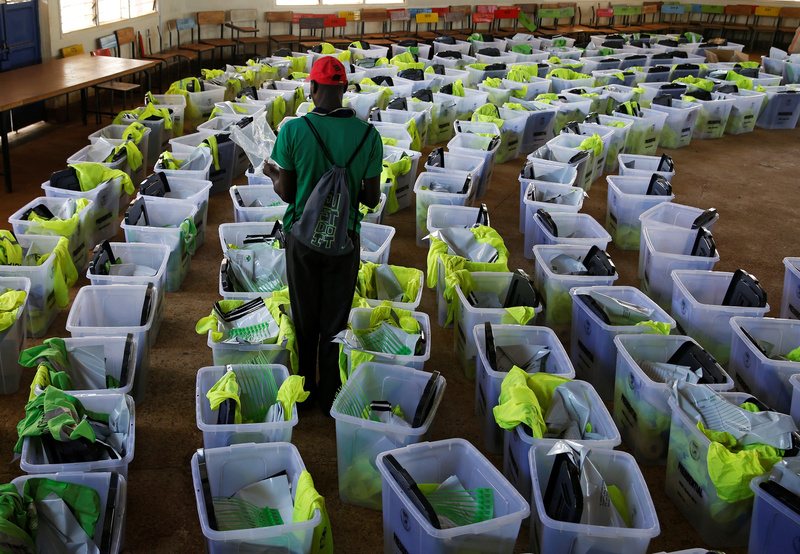 In August Kenya’s Supreme Court annulled the result of its highly contested presidential election citing “illegalities and irregularities” in the voting process. Last week Kenyans went back to the polls. An election rerun, which was supposed to bring an end to the country’s political turmoil, has exposed further deep divisions that will not be easily resolved. Kenya’s former anti-corruption chief, John Githongo, said that elections were meant to be a nation-building exercise: “They are meant to bring people closer. But this is not case here. The country is more divided than ever.” More than 50 people have died in political violence since the August election was annulled. President Uhuru Kenyatta was declared the winner in the rerun with 98 percent of the vote. The leader of the opposition, Raila Odinga, claimed that last week’s poll was another “sham.” He withdrew from the presidential race just days before the election was scheduled to take place and urged his supporters not to participate in the vote. Mr. Odinga said that reforms demanded by the opposition after the August vote had not yet been made to the electoral commission. Controversially, the set of amendments to Kenya’s electoral act have come into power days after the election. Mr. Kenyatta had failed to sign a bill within 14 days or send it back to parliament—therefore they were automatically gazetted. The amendments were proposed by lawmakers after the Supreme Court’s decision in August. An election rerun, which was supposed to bring an end to the country’s political turmoil, has exposed further deep divisions that will not be easily resolved. In last week’s vote, polls were boycotted in more than 20 constituencies in opposition strongholds in the west of Kenya. Despite this, the country’s electoral board said that the boycotts had not affected the outcome of the vote. In the days before the election, the country faced daily protests and running battles between opposition supporters and security forces. Kenya’s Independent Electoral and Boundaries Commission announced that 38.84 percent of the registered voters had turned up to cast their ballot in the vote—that is 7.6 million of the 19.6 million registered voters. The annulled August vote had a turnout of nearly 79 percent of registered voters. The recent low voter turnout is indicative of just how divisive the situation is. Many Kenyans opted not to go back to the polls. It is not clear if this is in opposition to the rerun, in opposition to the fact that the proposed changes to the electoral act were not made or whether voters have simply lost trust and confidence in the candidates. The threat of violence may also have been a factor. Mr. Kenyatta denied the significance of the voting commission's report, arguing that Kenyans had exercised their democratic right. “The narrative locally and internationally that voter turnout was low is inaccurate. It is nothing but a history of political convenience and a tirade of conjuncture statistics,” Mr. Kenyatta claimed. The African Union endorsed the poll saying that it “was credible.” It urged the two political adversaries to enter into dialogue. The A.U. delegation noted improvements in the technical conduct of the elections and also condemned violence in parts of the country that prevented voting from taking place. “The narrative locally and internationally that voter turnout was low is inaccurate. It is nothing but a history of political convenience and a tirade of conjuncture statistics." However, Mr. Odinga remains adamant. “This election must not stand," he said. "If allowed to stand, it will make a complete mockery of elections and might well be the end of the ballot as a means of instituting government in Kenya. It will completely destroy public confidence in the vote.” He went on to say that he would embark upon a political campaign to restore democracy in Kenya. He has called for economic boycotts and peaceful protests until another round of free elections are held in Kenya. “If there is no justice for the people, let there be no peace for the government,” Mr. Odinga said. Members of the opposition have, again, turned to the courts this week for assistance. The Kenyan Supreme Court will sit to hear the case in the next few weeks. It is important to note that the battle between the two men seems to be more personal as well as political. Three families—the Kenyattas, Odingas and Mois—who are from different tribes, have been battling it out for power since Kenya’s independence in 1963. All claim to have majority support. At 72, Mr. Odinga has also reached an age where this would be his last attempt to take power before the country’s constitution rules him ineligible for the presidency. The struggle between the two, which has brought uncertainty and political violence, has chased away international investors and damaged the country’s economy. Kenyans, again, will have to wait and see how the courts choose to resolve the country’s political crisis. But will Mr. Odinga and Mr. Kenyatta accept the court’s decision? In the meantime, the situation remains tense, and political violence continues as an ever-present threat in the east African nation.